This two-day event scheduled for October 20-21 at the Yashodhara Ashram on the East Shore of Kootenay Lake. 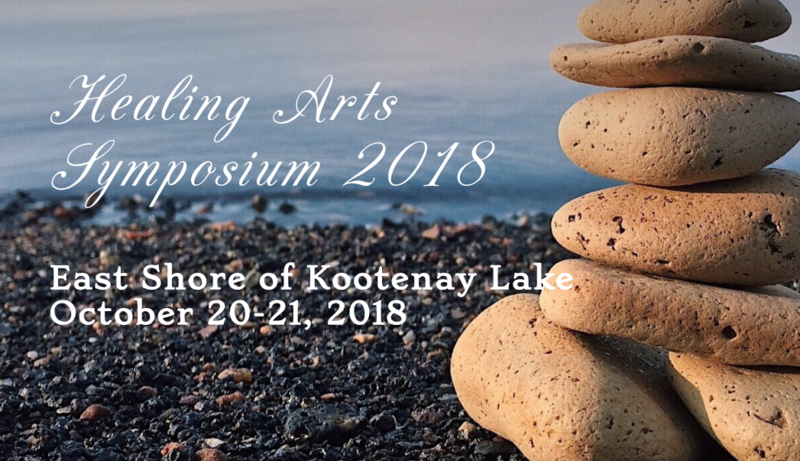 Organizers of the 3rd annual Healing Arts Symposium would like to invite the public to attend the event at the Yashodhara Ashram on the East Shore of Kootenay Lake. This two-day event scheduled for October 20-21, 2018, offers a broad range of experiential and informative workshops designed to get our energy moving and give us a starting point in our focus on health. The Symposium will be very diverse, having local east shore practitioners along with guest presenters sharing their knowledge. Dr. Duncan Grady, a Counselling Psychologist with a Doctorate of Divinity and an elder of the Circle of Indigenous Nations Society, has graciously offered to lead the opening of the Symposiumand will offer a Medicine Wheel teaching entitled “Soldier or Warrior? Surviving or Living?” Last year the participants were visibly moved by the grace and power of Duncan’s words and presence. For those interested in essential oils and how to use them, Master Herbalist and Clinical Aromatherapist Colleen Emery offers her workshop entitled “Ethical Aromatherapy: essential oil sustainability and safe usage”. The founder of Emery Herbals Botanical Dispensary in Winlaw, BC., Colleen is noted for her teaching abilities, skill and knowledge. The East Shore’s very own Harreson Tanner RMT offers a hands-on workshop entitled “Still Point”. Harreson guides us into the Cranial/Sacral System and will demonstrate how subtle manipulations will effect a healing response though out the body. Harreson is a respected healer with over 40 years in clinical practice specializing as a certified Atlasprof Practitioner helping hundreds with their atlas adjustments. Arlene LaMarche joins us this year by sharing her skills in retrieving “lost soul” parts. Arlene, a former RN acts as “midwife” in helping us understand and reclaim the “power” that is our birthright. Her workshop entitled “ReWeaving the Soul Healing” will touch on her recent study of past life regression and supports her training in Energetic Healing modalities. Certified Acutonics Practitioner/Teacher and owner of the Kootenay Sound Healing Centre, Theresa Lee Morris will show us the affects of tuning forks on the body in her “Acutonics Workshop”. Experience how sound vibration can stimulate healing, relaxation, and leave us feeling more enlivened and lighter. The Symposium would not be complete without our very own Blanche Tanner to guide us in a life shifting workshop using the “Family and Systemic Constellation Work”. Find out how a Family Constellation workshop can change the dynamics of long held personal or family trauma. Blanche will also gently guide the group into deep inner stillness with her session entitled “Conscious Breathing”. Master Herbalist, Registered Herbal Therapist, Maya Skalinska will take us on a very interesting journey into the use of “Local medicinal herbs: Using wild plants as food and medicine”. Maya is the owner and formulator of Niramaya Herbal Remedies found locally and sold in many health food stores. She has a private practice using Iridology as one powerful method of discerning the body’s overall health. Zora Doval trained in the art of Ayurvedic Medicine will share the secret of a long and satisfying life, in her workshop entitled “Quest for Longevity: Ayurvedic and Taoist Perspective”. Zora has trained in many Spiritual practices and will also guide us in a moving Chi Gong exercise devoted to bringing balance and strength into our lives. Susan Snead a local astrologer and healer will give us an “Astrological Update’” offering insights into current planetary and fixed star influences and how these energies may be affecting change in ourselves and in the world situation. She will guide us in a “Self-Care” practise designed to support, ground and align to potent healing forces available. No symposium is complete with out dance to celebrate the power of movement. Local nature lover Kalibri Wood will end our two day event by weaving music and dance together in her 60 minute “Dancing Freedom Workshop”. Kalibri will entice us on a dance journey through the elements. This will wrap up the weekend and send us on our blissful way having felt the joy of connection and leaving us with many more resources to apply to our daily lives. We are all excited to gather once again at beautiful Yashodhara Ashram located on the East Shore of Kootenay Lake BC. The ashram offers accommodation for those who wish to stay over night. Lunch will be available at the Ashram. It needs to be ordered prior to the symposium and can be purchased upon arrival. Otherwise please bring your own lunch. We hope to see you for the entire weekend as it is certain to move you to the core and make a lasting impression. If however you decide to come for one day please take note of the schedule on our web site and what day and time the workshops are being offered. The price for the entire weekend is $100 and $60 per day if paid before October 10, 2018.